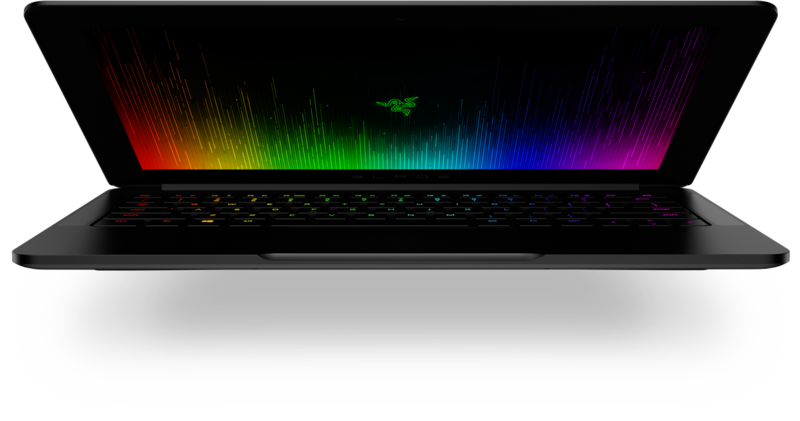 Razer’s new ultrabook, the Blade Stealth, has made a groundbreaking debut at the CES this year. The Blade series had manufactured impressive gaming laptops in the past. But the new ultrabook, Stealth, surpasses them all in the price to configuration ratio. The Razer Blade Stealth base version comes for just $999 which is indeed a competitive price given the powerful hardware line up of the ultrabook. Powered by a core i7 processor, 8GB RAM and 128GB HDD, the Blade Stealth is quite the gaming engine. The basic model of the Stealth sports a super high-definition 2,560×1,440 pixel resolution touchscreen display. For a couple of extra hundred bucks, you can get a 4k resolution panel that exposes 100 percent of Adobe RGB color scheme to sight and a 512GB SSD. This top end version of the Stealth will cost $1599. Razer Core, an external graphic dock station that you can purchase separately, will enable you to fit any desktop quality graphics card into it – be it AMD or Nvidia. The marvels of the Stealth don’t just end with its configurations. The new model is boxed up in a fine 12.5 inch aluminium frame with thickness a little over half an inch and with a lightweight of 2.75lbs. The in-built backlit keyboard accompanies its blade-like looks to make the device downright irresistible. Razer has covered more than enough options to cater to the user’s need for connectivity. The laptop comes with four standard USB 3.0 ports and a Thunderbolt 3 supported USB Type-C connector. The Thunderbolt 3 cable is meant to extend your screen to external monitors, thus nurturing a superior gaming experience. Knowing all this, you’re probably looking for a hidden downside to this just-too-good device. Let me tell you, it’s not the battery life because the Stealth delivers an 8 hour back up which is excellent for a laptop this well geared. Trying not to exaggerate, but the Razer Blade Stealth may turn out to be a dream come true for PC gamers. What excites you most about this laptop? We’d love to hear in the comments section!